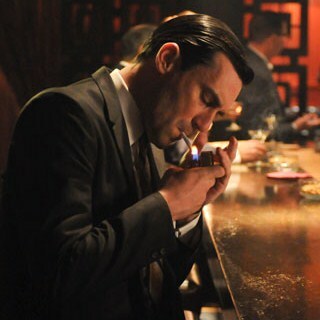 The Mad Men Season 5 finale aired June 10, and I just watched it this week. This always happens for me — I start watching a show, I get frustrated with having to wait a week between episodes, and halfway through the season I give up. That way, I can have 5 or 6 episodes to watch all at once after the season has ended. As such, I’ve spent the last week getting caught up on the second half of season 5. And I have to say, it was not what I expected. I’ll admit that this season started off rather slowly. There didn’t seem to be much plot-movement from one episode to the next until Episode 6 or so. But things ramped up toward the end, as they generally do, propelling the audience to a dramatic and unsettling season finale. Spoilers below. 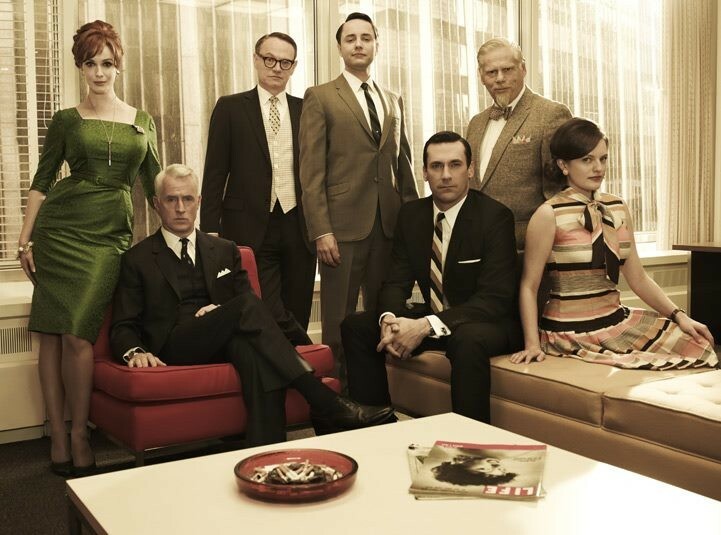 Season 4 ended in 1965, and Season 5 picked up two years later. We expected the turmoil in the world in 1967 to encroach on the Sterling Cooper Draper Pryce bubble, but it turns out that all the changes come from within. We expected the Vietnam War, the Summer of Love, the building tensions and feeling of revolution in our country to affect our beloved characters, to shove them into a world from which they had been insulated for so long. What we did not expect was that the loss of innocence would be so introspective. Some characters grow up in the harshest sense — they realize how naive they’ve been, and now they see the world for the cold, uncaring place it truly is. Joan struggles first with the loss of her husband; he chooses war over her and his son. She realizes that marriage is not the end, it’s the beginning, and that finding a husband does not guarantee that your struggles are over. Later she grapples with an indecent proposal at work; she must sleep with a member of the Jaguar voting board to ensure a winning bid for the company. She realizes that her contribution to the company is not her management or bookkeeping skills, but her looks, and she trades on those to secure a partnership and a life for her and her son. Likewise, Pete has to face the realization that his perfect life is not so perfect. He has the job, the wife, the child, the house in the suburbs, yet he feels so unfulfilled. It’s only after a poorly-thought-out affair with a neighbor’s wife that he realizes the life he has worked so hard for is not the one he wants. Yet he also knows that he can’t just run away, as a child would. Don and Lane are similarly dissatisfied with their lots in life, yet each chooses a dramatically different approach for dealing with the problem. Don has a new marriage that he’s trying not to screw up, and a job that he is increasingly unsatisfied with. With Megan, he is learning to compromise, to be the husband he never was to Betty, yet at work he’s as uncompromising as ever. He makes it clear that he thinks his vote is the most important in all company business and is shocked when he finds out otherwise. He’s lost his creative edge, and he bristles against the confines of working in such a small, struggling office when he thinks he deserves so much more. He steps on new writer Ginsberg to win a campaign pitch, and he aggressively pursues Dow Chemicals though they’re quite happy at a rival firm. His approach is no-holds-barred, full-steam-ahead, in pursuit of whatever his heart desires and damn the consequences. For Lane, on the other hand, the consequences prove too much. He finds himself in tax trouble and embezzles money from the company. Don finds out and demands his resignation. Instead of facing his problems, he chooses to end it all and leave the mess for someone else to clean up, literally and figuratively. While Don, Joan, Pete and Lane are coming to terms with the harsh, cruel world, Roger, Peggy, Megan and even Betty are figuring out what it truly means to grow up, and experiencing the freedom that comes with it. Roger takes LSD with his wife, Jane, and realizes that they aren’t meant to be together. His trip leads him on a path of enlightenment that he tries to hold onto throughout the season, in effect becoming the office Yoda. His final scene shows him naked and presumably on acid while standing exposed in front of the city. For the first time, the man who couldn’t bear to be alone is embracing his freedom. Peggy also throws off the SCDP security blanket by accepting an offer from a rival firm after being taken for granted by Don and the rest of the team. She realizes that she will never progress as long as she stays under Don’s tutelage, and she wants to spread her wings. Megan also abandons SCDP to pursue her dream, acting, and though she struggles for most of the season, in the end she’s rewarded with a TV commercial after Don lands her the starring role. She may not have worked hard to get where she is, but she’s not going to let that stand in her way. Even Betty does some growing up this season. We see her struggle with her weight and finally accept that people make their own choices in life, and must accept whatever consequences those choices bring, and she seems to be happier for it. As usual, there’s plenty of speculation but few hints as to what Season 6 has in store for our characters. Will Sterling Cooper Draper Harris continue to thrive and grow? Will Roger Sterling’s drug use get out of hand? Will Peggy come back? Will Don cheat on Megan? Will Ken Cosgrove ever do anything interesting? I guess we’ll find out next March.